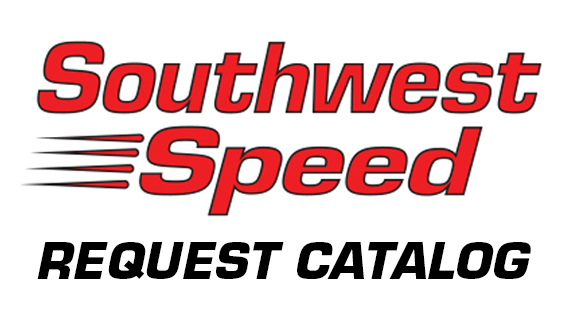 Southwest Speed - Manufacturing, Warehousing, and Distributing Race Car Parts Since 1975. PLEASE READ BEFORE YOU PROCEED! HOURS: 9 a.m. to 6:15 p.m. Central Standard Time. Monday thru Friday. HOW TO ORDER: We accept mail orders, fax orders, telephone orders, and orders through this website. Feel free to browse through our inventory online or in our Parts Catalog and determine exactly what you need. Please order by PART NUMBER ONLY. Give your name, shipping address, and telephone number, followed by the quantity and part number of items desired. Our normal method of shipment is U.P.S. Ground Service. If you desire a different type of service, please advise us of that. All shipments are freight collect, we have no prepaid freight policy. SHIPPING TIME: All UPS orders that are placed by 5:30 Central, Monday-Friday, are shipped out same day. Any order placed after 5:30 Central, or on the weekend, will be shipped out the next business day. See how many business days you are from us, via U.P.S., by clicking here. SHIPPING COST: For all orders shipping via UPS Ground to the continental US, Southwest Speed has a fixed shipping chart which will enable easy shipping cost calculation on your order. This chart will apply to almost all of our items. There will be some items that have an additional shipping charge based on large size or weight. Those additional shipping charges are listed on the item and will be added in your cart. Your complete shipping cost will always be displayed in your cart for UPS Ground orders going to the continental US. Southwest Speed has no handling charges and no hidden fees. For orders going to Alaska, Hawaii, Puerto Rico, and Guam, as well as International orders, because of the wide variety of sizes on the items we sell, it would be impossible to have a blanket shipping figure for these locations. We will figure the shipping cost on orders to these locations as they come in, and determine if UPS or USPS is the best way to ship to save you money. A large percentage of our items will ship for a similar amount as they will to the Continental US. Some items with large dimensions will be very expensive to ship to these locations. We will figure the shipping cost and notify before processing orders to these locations. For orders shipping via LTL Truck and Pickup orders, call us at 479-646-6988 to arrange shipping cost or pickup time. ASSEMBLIES & OPTIONS: Due to the vast number of assemblies & options we offer, it would be impossible to list all of the combinations in this parts manual. We do allow substitution of like items by simply ordering the assembly, deducting the standard part number and adding the option part number. We do not allow deductions only from assemblies, unless it is noted. SPECIAL ORDERS: Due to the fact that we are a true warehouse, we must order most products in large quantities to assure competitive pricing & sufficient inventory. We will, however, place special orders for customers as a last resort. The customer will be responsible for any extra cost incurred, including special handling & freight. MULTIPLE INVOICES: Due to the fact that we offer same day shipping, it would be impossible to accumulate invoices and process packages at the end of the day. We process orders the moment we receive them on a sequential basis. We strive to save you as much money on freight charges as possible. If you have more than one invoice in a day, we will try to accumulate these invoices and ship these orders as one order. If we are not able to catch the first order, they will be billed and treated as 2 separate orders. To avoid extra freight charges, try to place the complete order at one time. BACKORDERS: All Backorders will be canceled, unless other arrangements are made. 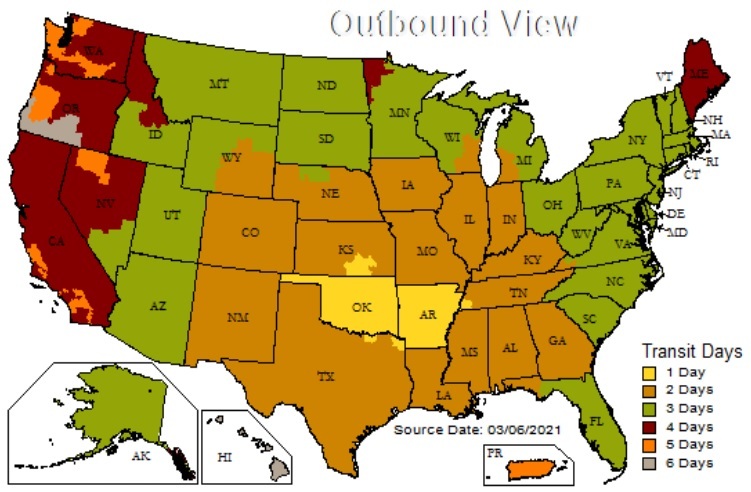 SALES TAX: Merchandise shipped by Common Carrier out of Arkansas is exempt from sales tax. In-state shipments will be charged sales tax unless a Uniform Sales & Use Tax Certificate form is on file with Southwest Speed Incorporated. NO WARRANTY! NO GUARANTEE! SOUTHWEST SPEED offers racing components for sale only upon the conditions and upon the terms contained in this disclaimer of liability and indemnity. Due to many varied and different conditions which Racing Components are exposed and because of the manner in which racing is conducted, SOUTHWEST SPEED makes absolutely no warranty or guarantee, expressed or implied, as to the fitness for a general or particular purpose or of merchantability in connection with any offer of sale or sale of Racing Components. "RACING COMPONENTS ARE SOLD AS IS!" Use racing components and other parts at your own discretion. NO REPAIR! NO REBUILD! We do not repair or rebuild any component or part of any kind. We have repair parts & rebuild kits available to allow the customer to do this service. Please do not send components or parts to us to repair or rebuild. BRAND DESIGNATION: Any Brand Designation, Part Number, Symbol, Code, or any other similarities of any manufacturers products are for the sole purpose of identification and application only. Southwest Speed Inc., in no way denotes their use to infer or intend a direct, or indirect connection between Southwest Speed Inc. or its products, and the factories of, or the names of, any other manufacturers listed in this Parts Manual. SUBSTITUTION: Any Brand Designation, Part Number, Symbol, Code, or any other similarities of any manufacturers products are for the sole purpose of identification and application only. Therefore, Southwest Speed Inc. makes no guarantee as to Brand or Manufacturer of any product we sell, and reserves the right to substitute products, designs, material, and/or specifications of reasonable like products at any time. 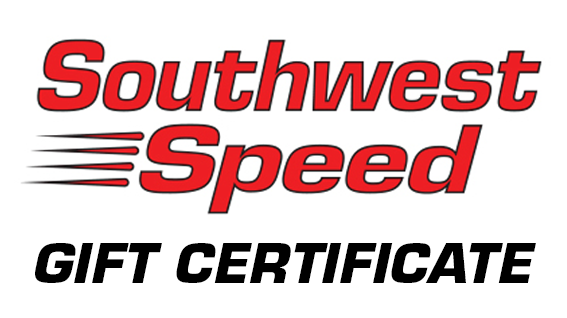 Southwest Speed Inc. has no allegiance or affiliation with any other firm or manufacturer. DIMENSIONS: All Dimensions are of actual off the shelf parts at the time of this composition. Due to Manufacturer's tolerances, dimensions are nominal and for reference only. WEIGHTS: All weights are of actual off the shelf parts at the time of this composition. Due to Manufacturer's tolerances, weights are nominal and should only be used for reference and shipping purposes only. WEBSITE & PARTS CATALOG ERRORS: We have made every effort possible to insure that these compositions are accurate, however, should a typographical error appear, we will not be held responsible. DAMAGE CLAIMS: Any claim for damage, pilferage, or loss in transit must be filed with U.P.S. or other common carrier. When shipment is taken by delivery agent, the merchandise is no longer ours and there is very little we can do to help. Be sure to save all packaging for showing agents of the common carrier. Any claim for parts shortages must be made within 10 days. Before claiming shortages, please note that shortages may be caused by unauthorized persons removing parts before contents are checked by receiving department or items being overlooked, miscounted or discarded with packing materials. RETURN POLICY: ABSOLUTELY NO RETURNS after 30 days for any reason. Make every effort to double check your order for accuracy. We will not be responsible for parts shipped wrong that were ordered wrong. We will be responsible if the part is ordered correctly, but was shipped wrong. In the event you do receive the wrong part, do not try to use it or install it. Repackage it to avoid damage in transit and then return the item to Southwest Speed. Include a copy of the original invoice and instructions telling us what you wish done. We will not accept, for return, any parts that have been used, installed, unpackaged, shelf-worn, defective, rusty, or damaged in transit. We will not accept any returned part, which has had the Southwest Speed Inc. part number or logo decal removed. NO EXCEPTIONS! We do not sell used parts! Any part that is returned for restocking, refund, or exchange will be assessed a 20% restocking fee, unless the part was mis-shipped by Southwest Speed Inc. All refunds will be issued in the form of an in-store credit at Southwest Speed Inc. 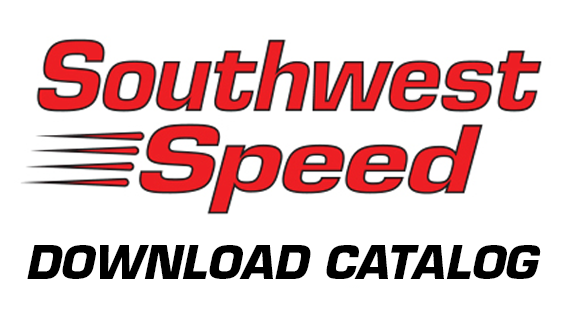 Copyright © 2000-2018 Southwest Speed, Inc. All Rights Reserved.